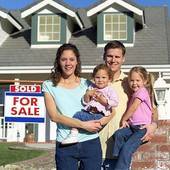 Purchasing a home can be an exciting time in a family’s life. But if you’re moving from a small apartment to a big house, there can often be a lot of changes. Suddenly, the hand-me-down furniture that you had in your apartment will no longer seem adequate in your brand new home. Decorating a home doesn’t have to be difficult, or costly. There are a few simple tips that you can keep in mind when you begin decorating your home. Decorate the house you have, for what you plan on using it for. If you think you will do a lot of cooking and entertaining, you might want to focus on areas like the kitchen and dining room first. But if you’re not really big on cooking, you don’t need to splurge on fancy kitchen appliances. Be realistic about what you will do in your home. Focus on a few key pieces and build around that. You don’t need to overwhelm each room with possessions. That’s hard on both your bank account and your family. Keep it simple. Go ahead and save some treasured family heirlooms, but don’t hoard a bunch of junk. Clutter can be overwhelming. If you have some treasured family heirlooms, that’s wonderful, and you can definitely make those items a showpiece in your home. However, you want to avoid tripping over knickknacks in your family space. Keep everything simple. Make sure your home suits your family’s personality, as well as the personality of your house. Don’t feel like everything needs to look like a page in the Ikea catalog. If your family’s style is modern, focus on modern things. But if your family (and home) is a little bit more old-fashioned, don’t be afraid to embrace that. You don’t need to be “trendy” in your home; you need to be happy. Pick a budget and stick with it. You won’t enjoy your new home and furnishings if you are constantly worrying about how much everything cost. So go ahead and pick a realistic budget and stick with it. That way you’re not resenting your kitchen table or light fixtures, and are able to enjoy your brand new home. « Where Should You Live in San Diego?